Here at Watkins Architect, we have worked with many businesses, no matter the size; providing a broad range of services: from master planning and feasibility studies, to existing building evaluation, local and state code approvals, architectural design, interior design, construction administration and even more! Our services have been provided for a rich diversity of building types; such as auto dealerships, churches, community facilities such as libraries, hospital and medical facilities, offices, restaurants, schools, and others. Even with small businesses we apply the same care, experience and efficiency in response to their requests. Escape Kutztown – We prepared the necessary code submission drawings for a tenant fit out for a new location in Limerick, PA. Escape Kutztown is a physical adventure game in which players use and manipulate their surroundings to escape an enclosed room or achieve a goal. Tiny Thinkers Academy – Tiny Thinkers Academy is a daycare for children ranging from six months old to kindergarten. 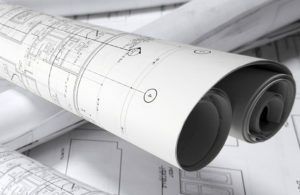 In order to expand their existing facility into the building adjacent shell space, we were contacted to provide drawings required for codes submission. Healthy U Fitness Studio – We not only provided the necessary drawings required for permits, but also layouts for a juice bar and two ADA compliant toilet/shower rooms. Healthy U Fitness Studios provide, along with their gym facilities, education and nutrition programs to create healthier lifestyles. At Watkins Architect we believe every part of a project is essential. We can assist your company with our experience to address the wide spectrum of needs, everything from answering questions to evaluating the condition of your existing building, to planning a project, and designing an expansion, renovation, or new project. Whether you’re a gym or an office, it is important to have professional guidance to create the right interior spaces, select the appropriate move in furniture, or just figuring out the layout best suited to your facility. Whatever the issue or idea, contact us at Watkins Architect. Even if it’s a simple question, we’re here to support you and provide careful, experienced and efficient professional service for your business! Previous Previous post: Ready to Build Your Dream Home?